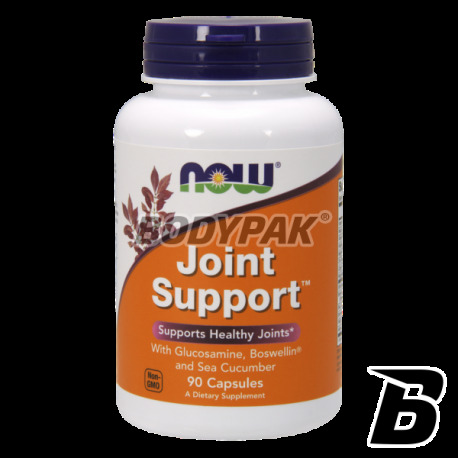 Joint HealthNOW Foods Joint Support - 90 kaps. NOW Foods Joint Support - 90 kaps. 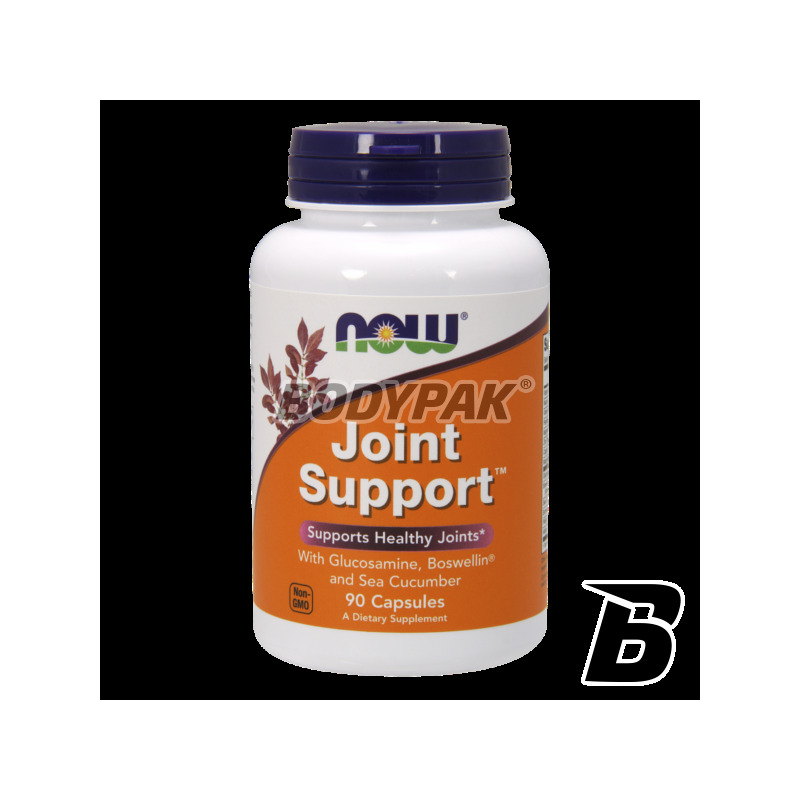 The formula of this supplement are designed to provide maximum support nutrients for joints. Its main ingredient - glucosamine - an amino sugar is obtained from chitin of shellfish. The body uses it to support healthy joint structures. Thanks to these properties Joint Suport can be used by people working physically, professionally practicing sport and obese. Other ingredients are standardized plant extract of Boswellia serata (Boswellin®), Bromelain and squirts. BOSWELLIN antioxidant properties and to reduce the annoyance of the joints, which in turn leads to an increased range of motion. In contrast, Bromelain is a means of mitigating and reducing swelling. 2 capsules 1 - 3 times a day with meals. Inne składniki: żelatyna (kapsułka), stearynian magnezu (pochodzenia roślinnego). Zawiera skorupiaki (krab, krewetki, homary, raki) i ryby (strzykwy). Na stawy wg mnie najlepszy. I cenowo lepiej wychodzi niż u konkurencji. High quality MSM in powder form, without unnecessary additives or fillers! Support your joints and enjoy your health. Free barns dose for the individual needs.